Jun 5 Are "Soul Friends" an Essential Part of a Mom's Life? Friendship is a valuable gift from God, one that can be hard to find time for as a busy mom. Fulfilling a deeper desire to connect with other women in friendship might be tugging at your heart, but leaves you feeling stumped at how to get started. What do you think are some of the greatest challenges for women and moms looking to develop and maintain deep and spiritual friendships? There are a lot of challenges. One of those is we’re all so completely aware of our failings and there’s a timidity in [reaching out to other women] that comes from that. Also, I think there are stages and seasons of life where we feel kind of lonely. For example, if you’ve got an infant, your life is ordered around the needs of that baby and that can be a monastic experience sometimes. Or if your work schedule is demanding and you don’t feel as if you have one inch of margin for some optional activity with girlfriends. There are sacrifices we all make on the alters of our heart where friendship feels like it doesn’t get nurtured because life doesn’t make room for it in this season, and there are also private insecurities that hold us back sometimes from risking connecting with friends. Moms can struggle with having the time for friendship. What would you say to a mom that is really busy, but has a deep longing for friendship? How does she fit that in to her already seemingly-chaotic life? First, I’ll say I took a big risk when I was in that season [as a mom]—it was a season for me where my mom had some major health concerns, I was professionally in a demanding season, I had a toddler who was a one-pound, pre-mature baby and had special needs, and I discovered I was pregnant. Life just felt undoable for me. The surprising thing I did was not cut back, but I felt that I needed to start a small group, which felt absurd at the time. I invited six women I knew, none of whom knew each other, and I thought they would all turn me down because they were all so busy, but we were all so hungry for it that we made it work. We tried scheduling our time together and in the beginning we could only meet once every three weeks. But we did it! We would start at night after the kids had gone to bed and we’d meet until midnight. It was an unbelievable thing to make it work, but 12 years later the fruit of [those friendships] is unmistakable. I would encourage anyone, even though it doesn’t seem easy, or convenient, or make sense, to risk it! Moms really struggle to find friends and a common question I hear is, “Where do I find friends? How do I gather a group of friends?” Do you have any tips for moms specifically? Be willing to join a MOPS group or small group at church. Volunteer for something where you know you’re likely to connect with people who have the same values. Women are longing for this and even if they aren’t able to say, “Yes,” because of the season of their life, it leaves them feeling encouraged that someone actually cared enough to reach out and invite them. 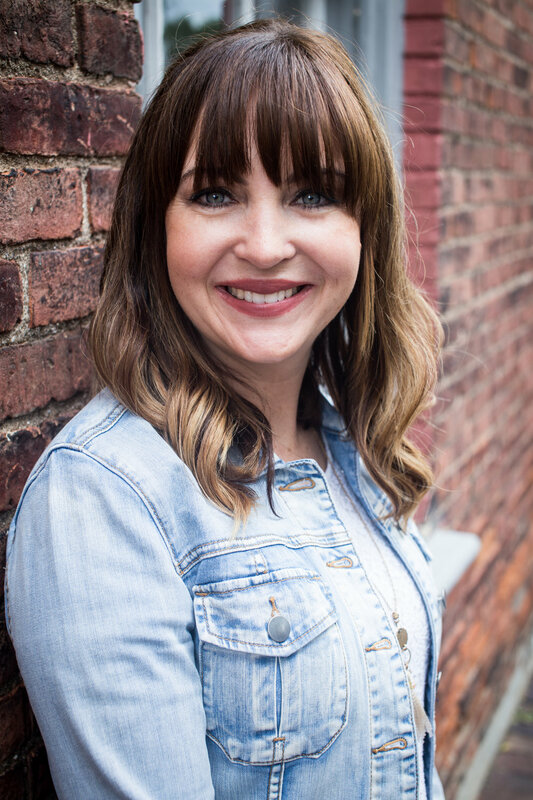 Women might have friends from different places—other moms, a friend at church, a few connections at work—but they don’t coalesce so you don’t feel this synergy with [in a group of] friends. Be a little risky—don’t think in terms that [all of the people in a potential group] have to already fit together or click or connect. Don’t feel limited by what’s already happening—create a way to get together! I LOVE Dr. Leslie Parrot's insight for us as we seek out friendship. I know it can be so difficult to find friends, as well as make time to develop those "soul friendships". But the truth is most of us have a deep longing for that connection and God uses those relationships in our lives to build us up, mature us and support us along the journey of life. Do you struggle to cultivate friendships? Why or why not? 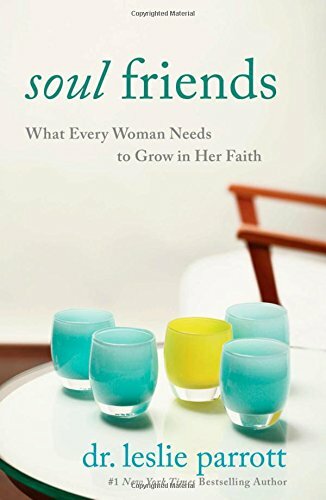 Have you found something that worked when seeking out "soul friends"? To learn more about Dr. Leslie Parrot's book, "Soul Friends" click below. May 21 When You Feel Like Everyone Else Has Friends....and you don't.